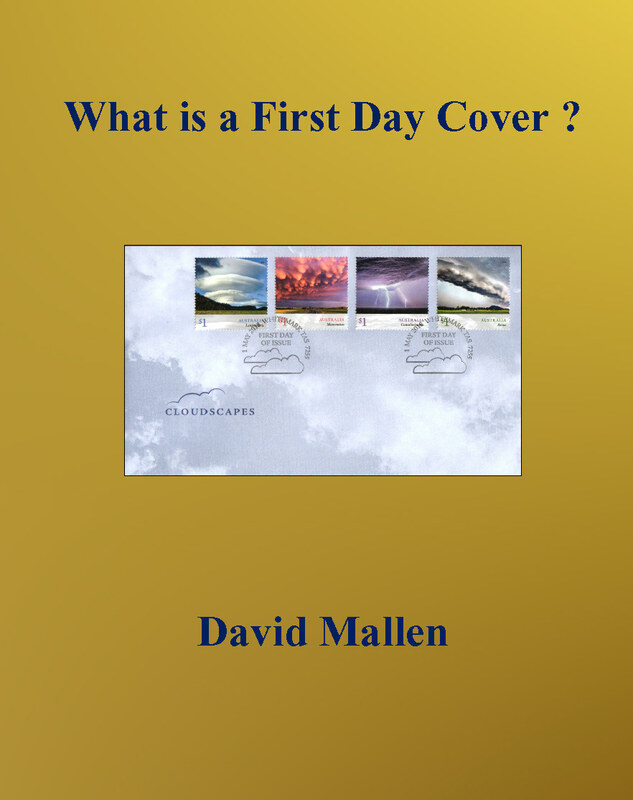 What is a First Day Cover ? Find out the difference between Private, Official, Genuine and Fakes in this specialized area of philately. A summary of Australia Post’s annual spew of expensive limited edition products. An interesting overview of Australia Post’s initiative allowing you to add your own photo or graphic to postage stamps. 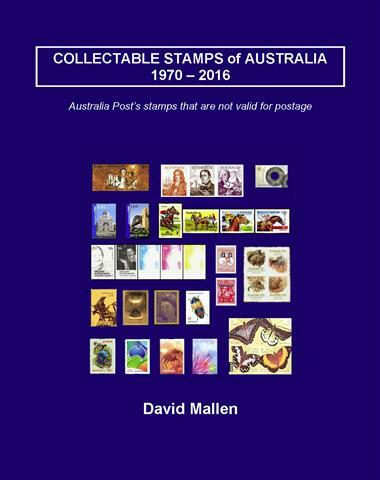 Includes copies of the author’s special Stamp News articles and beautiful collection of personalised stamps. 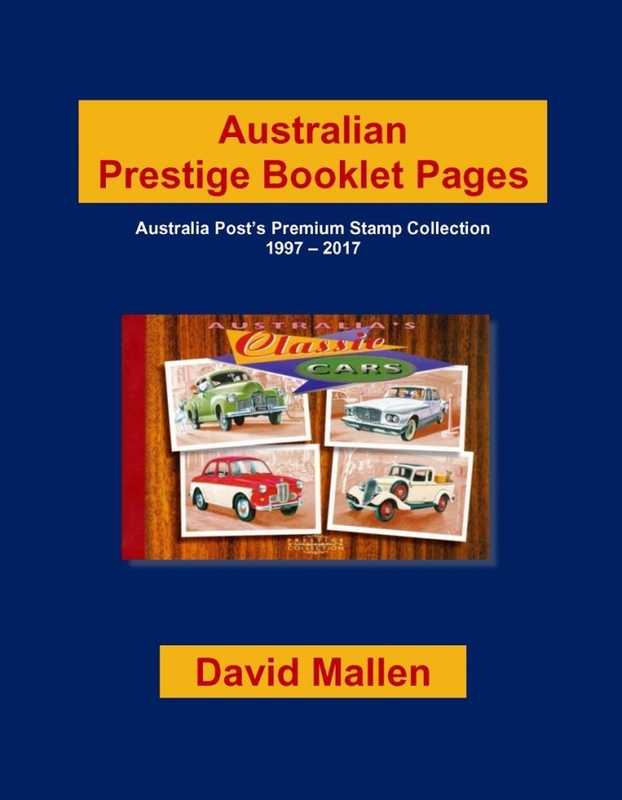 This book lists the first 21 years of Australian Prestige Booklets with images of the pages that contained stamps. 257 booklets in all, including the AFL official souvenir booklets and the Zodiac booklets. 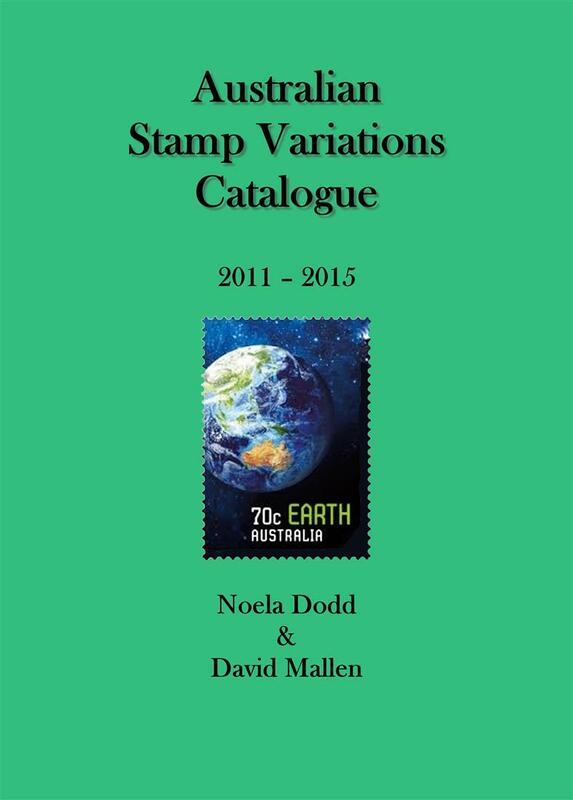 Latest catalogue by co-author Noela Dodd. Find out what decimal stamps Australia Post actually issued. Over 5000 variations in 45 years! 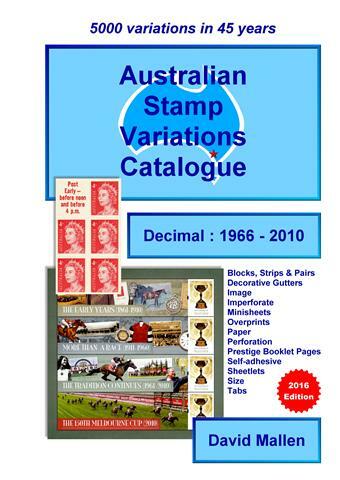 Free download of the first 25 years of decimal variations. Australia Post's stamps that are not valid for postage. 24 items - 227 Variations. Full details and images. 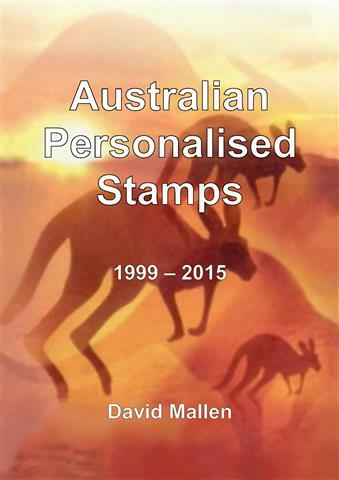 Australia Post's most costly and controversial stamp issue. Includes examples of cancelled and postmarked stamps on envelopes. One of eight ways a stamp can be cancelled. 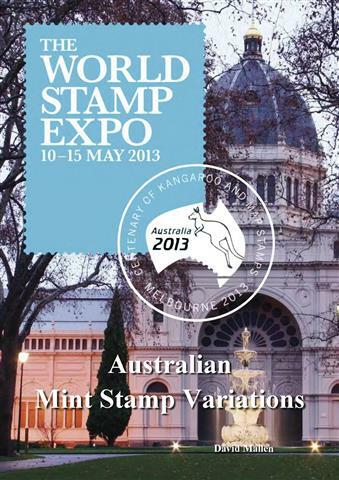 Australia Post's biggest stamp issue. 17 sheetlets, 125 stamps. Find out the meanings of the words stamp collectors use. 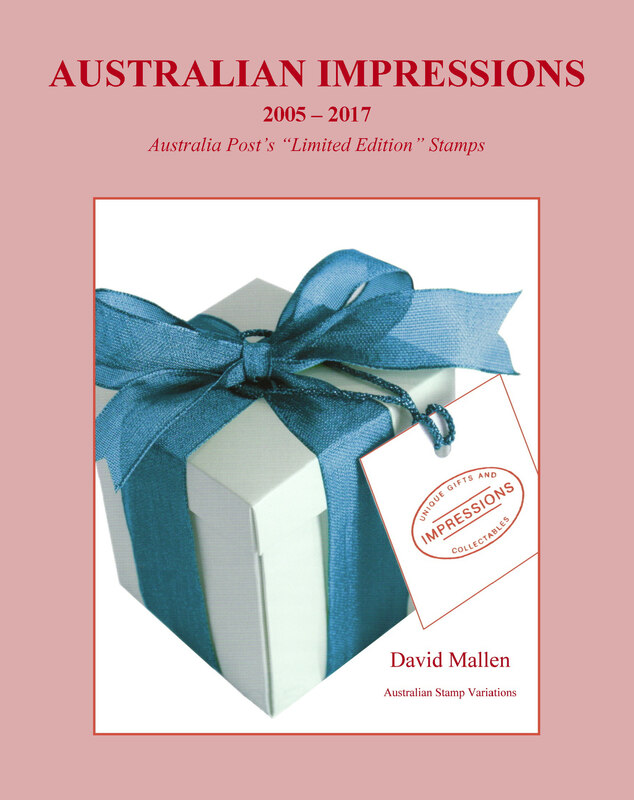 Australian Stamp Variations articles and other Special articles 2006 - 2015.